How are you on this Sunday afternoon?? Don't you think the weekend went entirely toooooo fast! I have to tell you that in typical Indiana fashion.....it was rainy and cold all weekend. Hot one minute....freezing cold the next. We say in Indiana "if you don't like the weather, wait 5 minutes because it will change." Usually that's true....but this cold rain just won't go away. Owell....I made the best of it. I love that little tree in my front yard!! Besides tinking in my yard between the rain showers I did a happy little craft. Remember all the jute rope crafts I did awhile back?? Well this is kind of similar. I was just walking past the yarn at the craft store and thought these would be cute and simple to do! Owell...I was cold and the yarn looked cozy! I love them and think they're so darn cute!! There are sooooo many flowers blooming right now....I am on sensory overload from all the beauty of the blossoming flowers! They remind me of simple days gone by. It makes me so sad to go past fancy new subdivisions....perfect grass and not a flower in sight....just bushes, bushes and more bushes..........I don't even think they plant flowers, flowering trees or flowering bushes.....too messy they probably think. and the old fashioned kinds of flowers are my favorites! How could you not be happy enjoying the beauty of flowers. Sweet little letters that you could put just about anywhere! Whatever you do in life....keep it simple!! 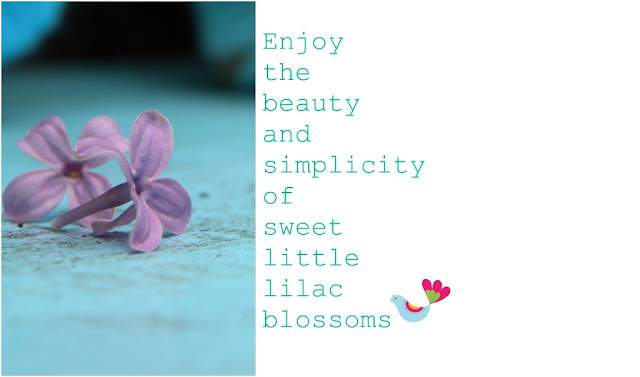 Makes things and breathe in the beauty of flowers!! Let's hope the sun shows it's pretty little face this week!!! If not.....well i'll just have to be determined to keep myself happy and chipper! your yarn wrapped letters are really cute ..i love the white blossoms and your beautiful photos! I'm with you on the living simple. I'm not creative like you are though! Loving your letters and your dogwoods and lilacs... especially since I can't grow them. I'll just enjoy yours! I love the yarn wrapped letters, so cute! I love all of the flowers, you are right about many homes not having anything. We had some snow this morning! :( So I hear ya on the cold stuff, I am ready for warm! I just love your yarn wrapped letters! The colors really say "beach cottage" to me! I had to laugh about your quip about the weather and waiting a few minutes for it to change! I'm from Michigan (though we just moved to Washington State), and that's what we always said, there, too! And I've been told that if I don't like the rainy weather here in the Pacific Northwest, just get in the car and drive 20 miles:)! 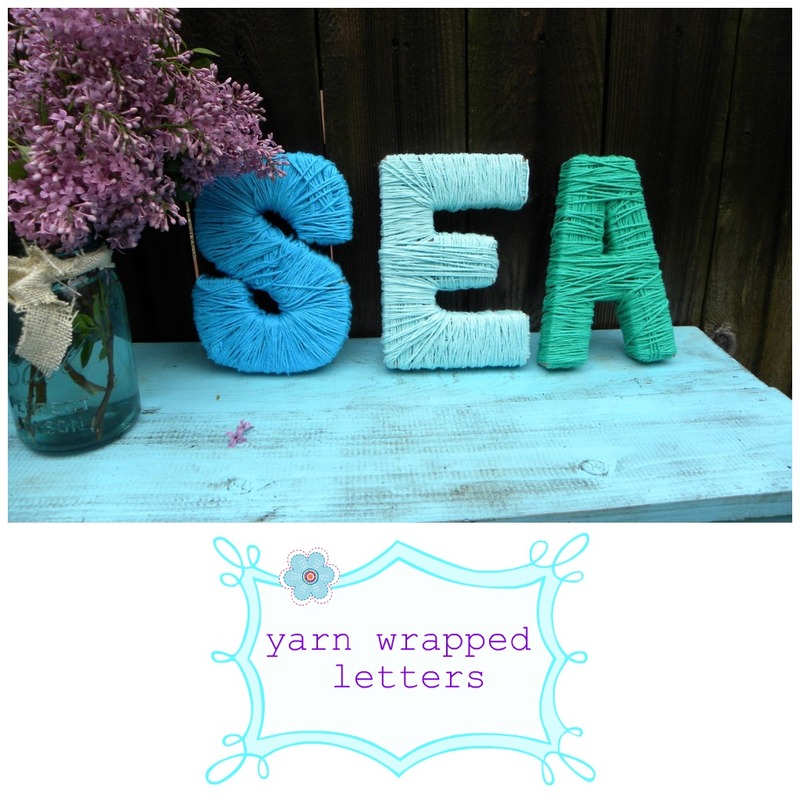 Love the yarn wrapped letters - especially the beachy colors. Perfect for a cold and dreary day like today! How pretty! 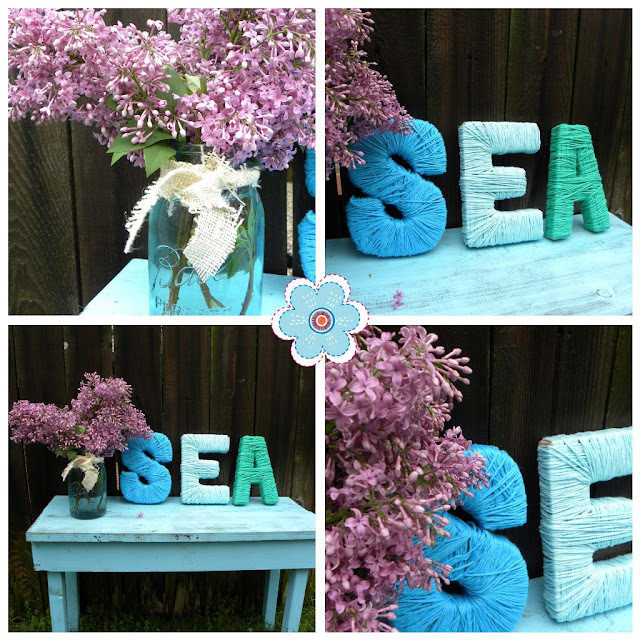 I love the word "sea" and the colorful yarn is just so cheery. I remember calling it the south bend cloud of gloom when I lived in IN. It was funny how Chicago would be amazing, down south would be sunny but as soon as you hit the Bend... clouds. Oh well, like you said, you have to make the best of it. I absolutely ADORE that tree how gorgeous. 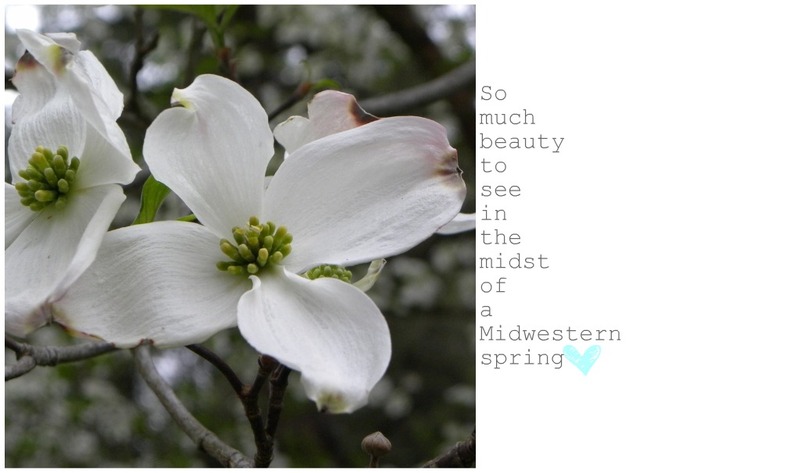 I definitely do miss Spring time in the midwest. It absolutely flies here in Cali and we just don't appreciate it as much as we should. I just adore the idea of renewal. Have a great week! Our weather in WA state was exactly like yours. Saturday was gorg all day, then around 6pm total downpour through Sunday morning, throw in around 54 degrees and it suddenly felt like Oct. 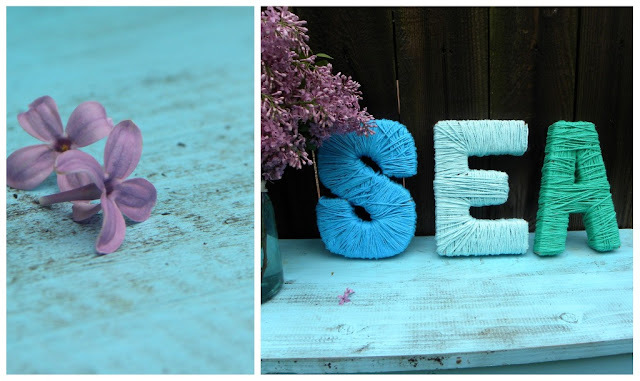 Since I have been reading your blog, I have to say these adorable yarn letters are my favorite craft so far!! What a great idea!! 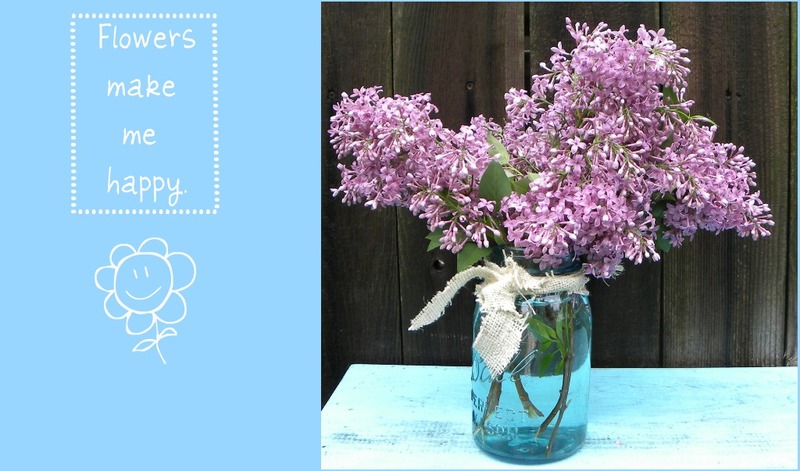 I adore flowers and especially lilacs!! Those are really cute! Every time I go to Joanns and look for those letter they are out. I will just have to order some. Love the colors you used. I hope you have a warm and sunny week! Love your ideas! The yarn wrapped letters are too darn cute! what a novel and cute idea. Thank you for sharing. The letters are super cute!! The scent of flowers was amazing today..., I think thanks to the rainfall. Luckily it is quite warm, at least for now. Your yarn wrapped letters are great! I love them...will have to give that a try! 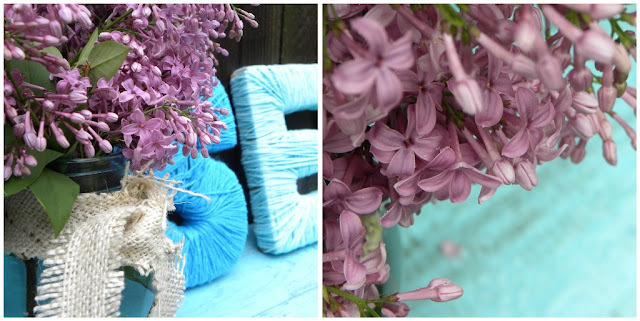 This week is the Lilac Fest here in Rochester...and the rain sure is putting a damper on that!! Have a wonderful week!! We had exactly the same weather this weekend...it feels like October! 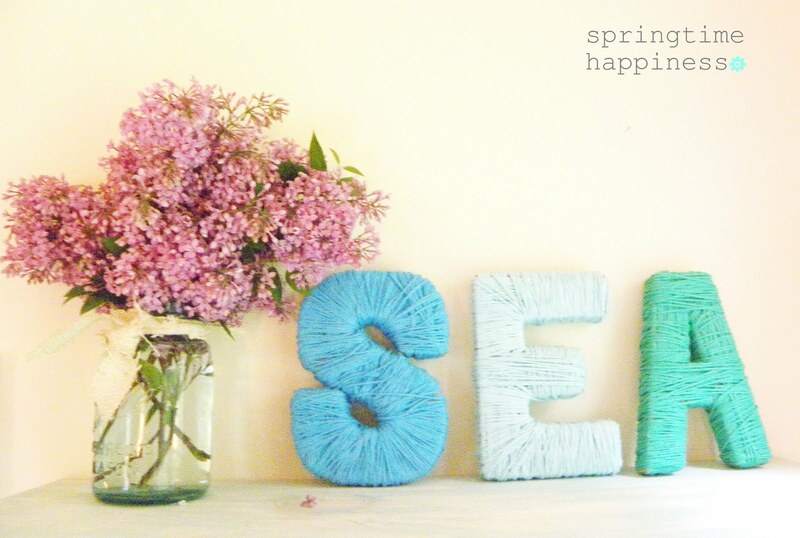 At least you have those lovely lilac's to let you know it's spring and the letters are so happy and bright, very cheery! I can relate to your weather...I'm in the mid-atlantic and it is just as erratic this time of year! 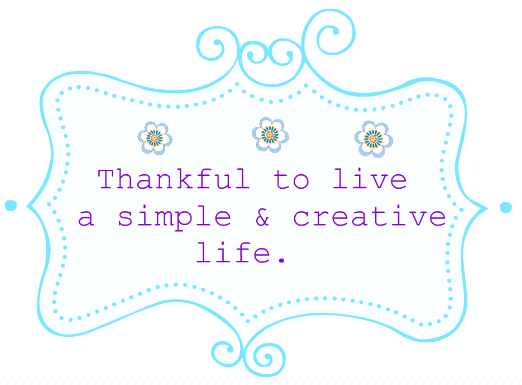 Thank you for stopping by my blog :) I look forward to exploring yours and your jewelry shop...the yarn-wrapped letters are adorable! Those are great...I can picture them up on a mantle or a shelf. Envious of your beautiful Dogwood tree...gorgeous!! Those letters are so pretty! I love all your photos. Just gorgeous! 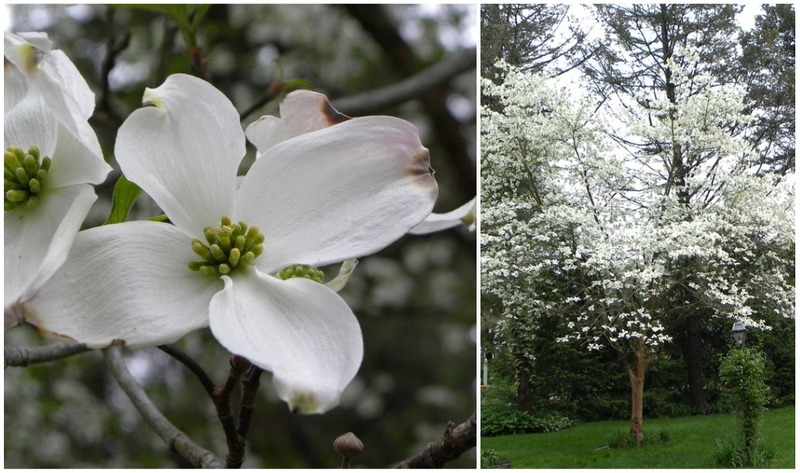 I'm such a fan of dogwoods and lilacs...can almost smell the lilacs!! adorable! great idea...will have to try for sure. i am with you on the weather, i live in Illinois. hopefully we will get our summer soon!! Those letters are darling! so creative! The letters are so pretty - especially with the colors you chose! Such happy colors! Love these. Thanks for linking with Air Your Laundry Friday! In my garden I find it fun to just look at the flowers. The beauty of them puts a smile on my face. I love how I can grow so many different types of them and they all look so much different. This is my creative happy space where I hope to inspire others and spread a little joy. Here you might find a little of this and a spinkle of that…..maybe a crafty inspiration, a healthy recipe, or a little photography and every once in awhile a feelings sharing post that’s meant to inspire myself as well as you to appreciate and find the joy in each day. I tend to be a bit of a free spirit ... so don’t get too upset when I say one thing and do another. That‘s just me....I am always tinkering with something and I‘m so happy to have you along in my journey! My mind never stops swirling with thoughts and ideas so i'm always in a million different directions.....good thing for journals. So grab a glass of wine, prop your feet up and let‘s get to know each other! I work hard at taking photos and writing happy blog posts for you to enjoy and be inspired by! Please...Please...Please...do not copy my photos or text for your own use without my written permission first.